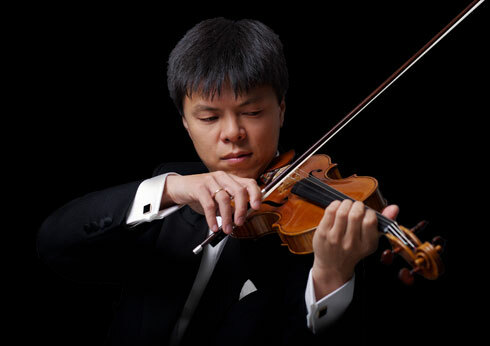 Since winning first prize in the Yehudi Menuhin International Violin Competition Leland Chen has distinguished himself as an exciting presence in the musical world. In his book 'Great Masters of the Violin' Boris Schwartz wrote: "What made his performance so impressive was his musical versatility: he seemed to master every style from Bach to Bartok. Chen's technique is impeccable, his tone warm and sensuous his musicianship serious and probing." Leland made his London debut with the Royal Philharmonic Orchestra at the Royal Festival Hall and since that time has appeared with the Philharmonia, London Philharmonic and London Symphony Orchestras and toured North America with the Royal Philharmonic Orchestra. He has toured Poland with the Polish Chamber Orchestra and Germany with the Warsaw Sinfonia and has also performed in Europe with the Chamber Orchestra of Europe and Netherlands Philharmonic. Following the enormous success of his New York debut he gave a recital tour of over sixty cities in the USA and has appeared at many European festivals including Gstaad and Schleswig-Holstein. Leland is also in demand as a teacher and is on the faculty of the Royal Northern College of Music. Leland’s portfolio of recordings includes highlights of the violin repertoire, ranging from Bruch’s famous violin concerto, through to popular, salon favourites.